After the recent events in Mumbai, and the subsequent ‘will they/won’t they’ deliberation by the tourists over whether it was safe to travel, both England and India will doubtless be relieved to get back to playing cricket when the Test series gets underway in Chennai. would see them overtake South Africa as the second-highest ranked team), as well as the first series since the retirement of Sourav Ganguly. Yuvraj Singh, who many feel has so far failed to do himself justice in the longer form of the game, steps into Ganguly’s shoes. If he can replicate the form he showed in the One Day series, England’s bowlers are in trouble. 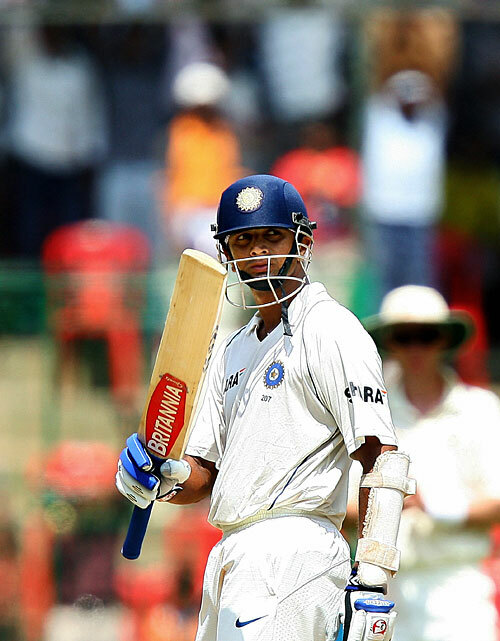 Also in need of a big score is Rahul Dravid – ‘the Wall’ has looked a little less than solid of late, and calls for his retirement are starting to be voiced more vociferously. captain) was confirmed as the replacement for the injured Stuart Broad. Also added to the side for the tourists is Matt Prior, who returns in place of Tim Ambrose as part of England’s revolving door approach to wicketkeeper selection. Although it has been suggested that England’s very decision to tour means that they ‘cannot lose’ in terms of prestige, they can certainly lose the series. You can follow the First Test here, or here. Now that it looks like the India vs England Test series is back on, Yuvraj Singh can start looking forward to trying to fill Ganguly’s shoes. Singh was in impressive form during the One Day series, and the retirement of Ganguly leaves a slot open in which he can establish himself. With a few more retirements of ageing superstars looking reasonably likely over the next couple of years, India badly need their One Day stars to graduate to Test level, and Yuvraj is by far the most prominent of the limited overs dynamos who haven’t managed to make a name for themselves yet in the longer form. This could be his big chance. Just how good is Sehwag? Is he one of the greatest ever One Day cricketers? Is he worthy of his own cult? Should everyone else just give up and go home? His strike rate is phenomenal for someone who has scored so many runs (better even than Shahid Afridi’s), his style is relentlessly aggressive (especially when opening with Gambhir), and his reputation amongst neutrals could hardly be higher. As one of those neutrals, my fervent hope is that he gets the recognition he deserves as one of India’s greatest batsmen. There is, I realise, a lot of competition, but who ever heard of Gangulyology? The contrast between the moods of the two sides going into this series. 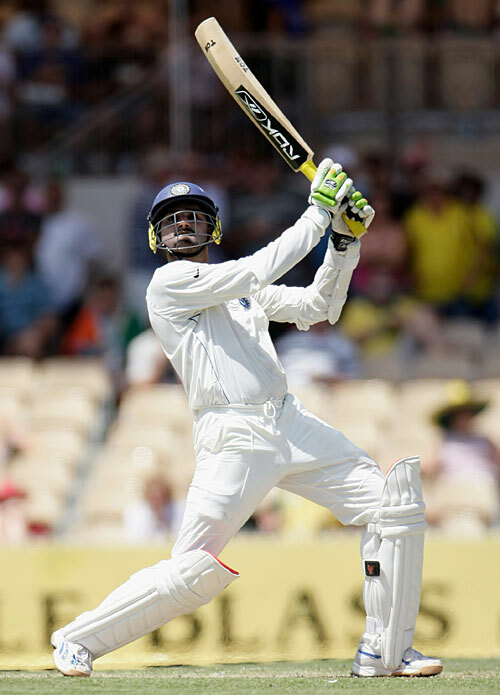 India are on a high following their Test triumph over Australia, whilst England have compounded their failure in the Stanford Super Series with an embarrassing warm-up defeat by a Mumbai Cricket Association XI. Although it seems an age since England last played an ODI, their recent form is impressive. Kevin Pietersen‘s honeymoon period seems to be over now, though, and this tour will be a real test for the likes of Samit Patel and Graeme Swann. The tourists may be particularly pensive given the wealth of young talent available to India, not least amongst them a certain Virat Kohli. Many of these players will have an eye on the Test spots vacated by Ganguly and Kumble‘s retirements, and hence will have plenty of incentive to perform. The first ODI starts at 9am local time (3:30am UK time), and you can follow it here, or here. Sachin Tendulkar has finally done it, breaking Lara’s record on his way to 88 for India against Australia (youtube here). Meanwhile, Sourav Ganguly, in his final Test series, finished the day on 54 not out, his 50th Test score of at least fifty and a good base for a potentially game-changing innings. Today belonged to Tendulkar; tomorrow could be Ganguly’s day. Yesterday, I wrote that Australia might find it hard to dismiss India cheaply. It turns out I wasn’t too far wrong on that front, but “the experience of their top order” didn’t have as much to do with it as I predicted. Dravid made 51 (youtube here), and there were notable contributions from Sehwag and Ganguly, but it was – of all people – Harbhajan Singh who steadied the ship, making 54 thrilling runs (youtube here) after Mitchell Johnson had taken a number of key wickets. Australia will have been frustrated by the lower order’s resistance, and need to mop up the tail early tomorrow. Zaheer Khan is still there on 35 not out, and Anil Kumble has five test 50s and an unbeaten century to his name, so this won’t necessarily be a simple task. Even though it’s just a few short months since the last Test series between these two sides, so much has happened since that it seems like years have passed. The IPL, retirements and retirement announcements, India’s spot of difficulty with Mendis, that whole ICC Champions Trophy business, and even the possibility of the end of the world have all ensured that this things weren’t too dull in the absence of Monkeygate. For India, much still rests on the shoulders of the old guard, who Australia will be looking to put under pressure right from the start of the series. With the exception of Sehwag, the batsmen were disappointing against Sri Lanka, but home advantage and a reasonably settled bowling attack will definitely count in India’s favour. Australia, meanwhile, are fielding a young side, are without a ‘proper’ experienced spin bowler in one of the few places left where spin bowling reigns supreme, and are arguably the weakest they have been for some time. Even so, the bowling of Stuart Clark and the run-making abilities of their established top-order players will still be enough to give Anil Kumble’s men plenty to worry about. I can’t see India winning comfortably, but they will certainly be more fired up than they were against Sri Lanka. Likewise, I can’t see Australia rolling over (when have they ever done that, except in some sort of rolling over competition? ), but they aren’t the side they were even three years ago.